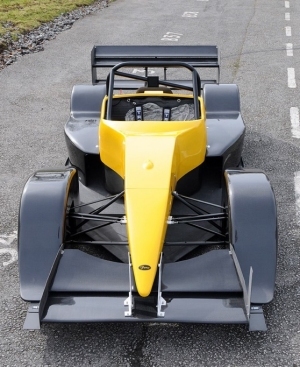 Developed from the Ultra successful PC model the LM's design pushes the design of Hillclimb Sports Libre cars into new territory with its central seat, carbon fibre tub and full width front wing. With its slender nose, full width front wing and rear diffuser the LM has more downforce than traditional sports libre cars. The LM can be fitted with the carbon fibre rear structure which not only reduces the overall weight of the car but increases the torsional stiffness. The LM chassis can accept the standard Suzuki Hayabusa up to 1400cc (2000cc if turbo/supercharged) though If you have a specific motor in mind have a chat with us and we will see if it can be accommodated. 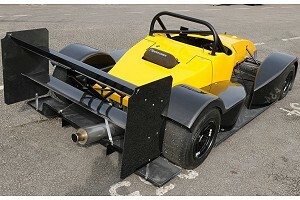 A supercharged LM now holds the class records on all 3 layouts at Curborough Sprint course.